Dopish impress with their inventive sounds and make for a perfect pairing with Incroyable_ Issoria EP_ - Track? !D. Incroyable Music is a label with a fine ear for A&Ring essential underground artists. This latest release proves that once more with an interesting and forward thinking new EP from Dopish who serve up a fine pair of cuts that are sure to engage only the most clued-up dance floors. Dopish are a duo of German producers who have held a number of DJ residencies and have been producing since 2014. Deep, bone-dry basslines and melodic synth pads incorporated into state-of-the-art club tracks that are also suitable for open air events are the hallmarks of their musical approach. Issoria is a stirring track filled with intrigue and emotion. Shiny chords ripple over a groaning and grumbling bassline and tooting horn stabs bring a futuristic feel to the sci-fi sounds. It is a serene track and no mistake. Second cut ‘Stijl’ is brilliantly melodic, with slithering synths and chords unfolding over dramatic and haunting club beats. There isa real sense of tension in the way the track builds and as such it will really cast a spell on the floor. 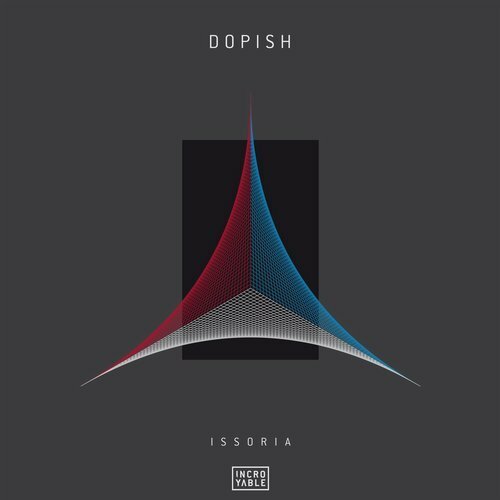 Once again here, Dopish impress with their inventive sounds and make for a perfect pairing with Incroyable.